GESIPA® Fasteners USA, Inc., a German-based company which manufactures rivets and state-of-the-art riveting systems, is growing and expanding its Davie County operations, creating sixteen new manufacturing jobs in Mocksville. 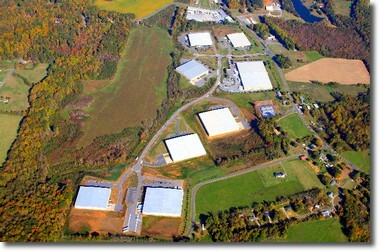 In addition to expanding its facilities and adding jobs, GESIPA® Fasteners USA is also transitioning to two shifts. According to Karen Creason, HR/Office Manager, the company has hired a number of positions already this year and is actively seeking a plant electrician as well as skilled machine operators. The company anticipates adding sixteen additional highly skilled, well-paying positions by the end of 2016. For information on how to apply call Karen Creason at 336-751‐1555, ext. 101 or email kcreason@gesipausa.com. The Company is advancing from providing standard products to also engineering custom applications to meet an individual customer’s unique needs, according to Brian Cole, General Manager. In order to implement this innovative manufacturing approach, GESIPA® Fasteners USA, Inc. is expanding, retooling, and renovating its 83,000 square foot facility in the South Point business park on US Hwy 601 in Mocksville. The plant currently manufactures and distributes non-structural rivets and installation tools, and repairs installation tools. A $160,000 grant from the NC Rural Infrastructure Authority (RIA) to the Town of Mocksville will help fund electrical, plumbing, compressed air, and other interior upgrades at the plant which also serves as the company’s North American corporate headquarters. RIA provides grants to support infrastructure development, building renovation, site improvements, and economic innovation.